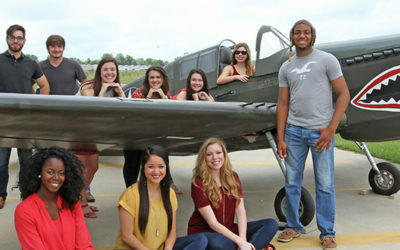 I admire the ULM Warhawks for their doggedness and fighting spirit. They never get comfortable even when winning. However, it is still very discomforting to watch your favorite team play with a very good side – you just know the game can go to either side. Playing against a team like Auburn which holds the second rank in the Amway USA Today Coaches Poll is always difficult and they have battered great teams like Georgia. 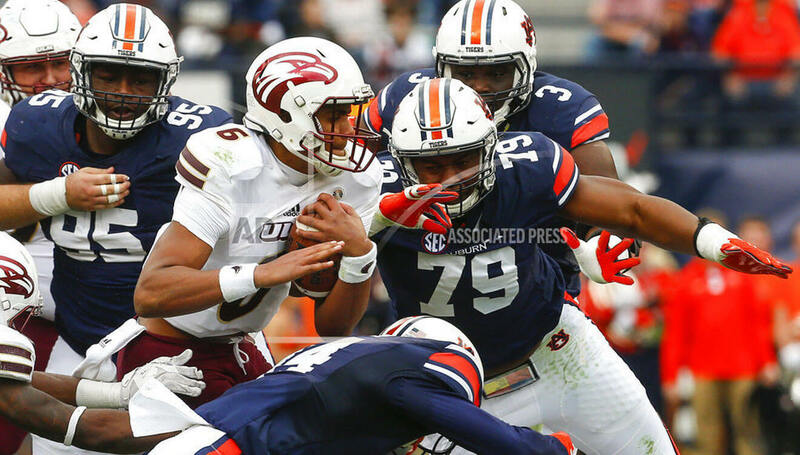 Warhawks has talented and skilled players that can produce individual brilliance but so does Auburn. When these two heavyweights meet it always boils down to tactics and which team is hungrier. 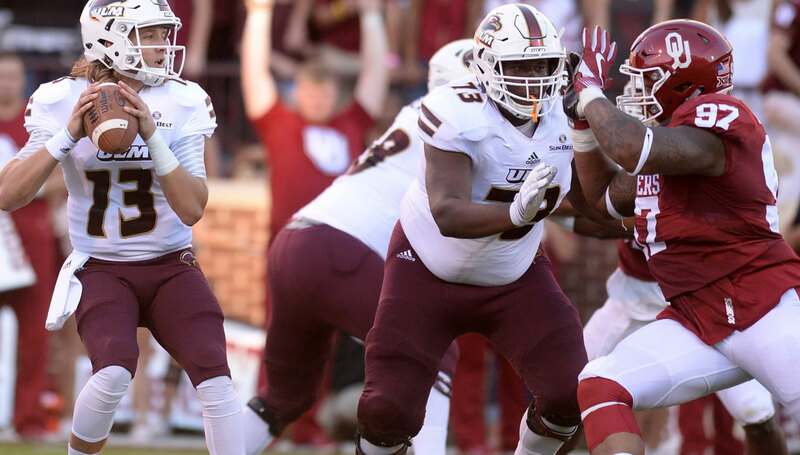 The ULM team is laden by upperclassmen and one of the favorites to watch is Caleb Evans, a nominee for the Maxwell Award. 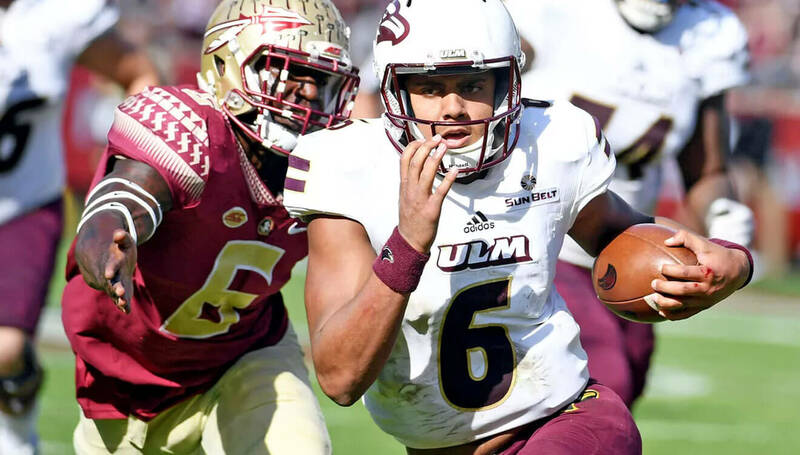 The recent victories recorded by the team including a 21 – 20 win over Southern Miss and trumping of Southeastern Louisiana 34 – 31, it is obvious that the Warhawks are learning to balance their defensive and offensive attack. 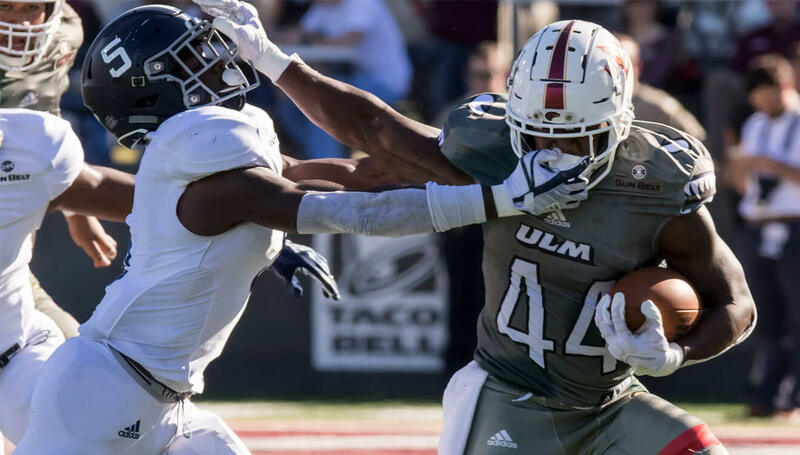 The level of success recorded thus far is an indication that ULM is beginning to level up to their competition. 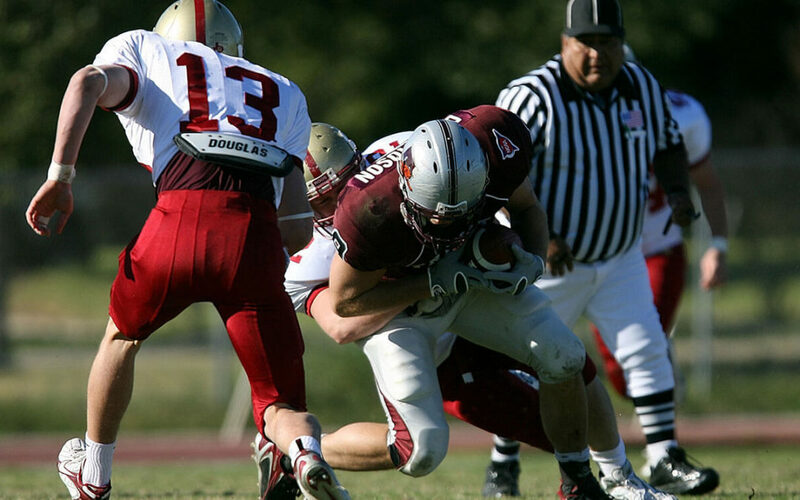 Like many sports, the will or loss of many teams is determined by the defense. A team may not be spectacular but if the defense line is rock-solid, they can hold their opponent to a draw. Just a year ago, the ULM defense was a write-off. The defense literarily could not stop anyone. 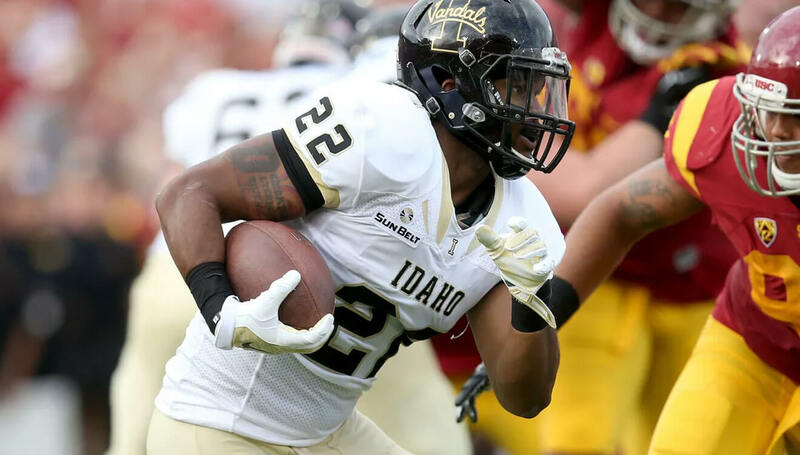 The outcome was that out of the one hundred and thirty-two FBS teams, ULM was ranked 129th in defense. They surrendered an average of 532 yards per game. Today, the defense is not top notch yet but there has been a tremendous improvement when compared to what it used to be in the past. 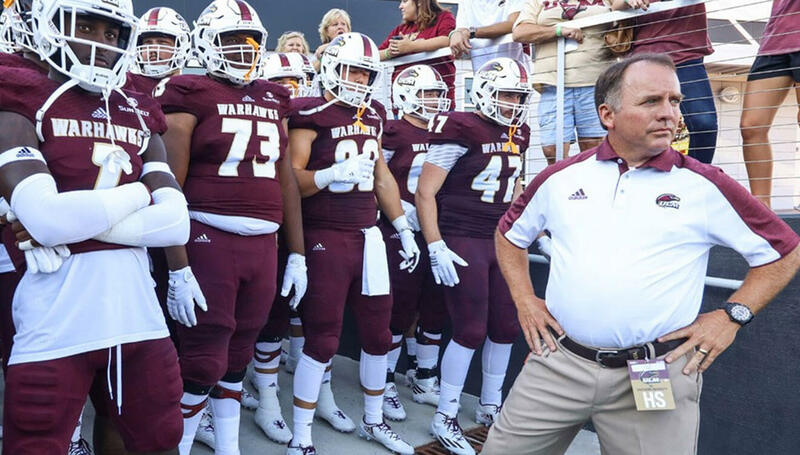 Although Warhawks are still in the nation’s lower tier, they give up an average of 437 yard – which is a great improvement, statistically. Most often I hear coaches or players say that they taking, “one game at a time”. In terms of not underrating your opponent and putting your best in every game, this is OK but if you want to keep winning you have to look at all your games as one. That is the only way to sustain a win. College football through history has often been very disappointing for me. A team wins a big game today and loses the next to a smaller team or fail to show up for their next game. When your current game is with a weak opponent but your next is with a stronger side, the ideal scenario is for you to start with a big lead then rest your key players afterward in preparation for the next game. Coming out sloppy can serve as a teaching tool for the coach but it will definitely affect the team’s performance in their next game. Fisher’s coaching tactics have been unquestionable in this regard. He has been able to charge ULM beyond the mental and physical exhaustion of a loss so that they face their next game with renewed vigor. If there is one player I love watching whenever the Warhawks line up, it is Caleb Evans. He record of individual brilliance in passing around the ball and sometimes scoring precedes him. 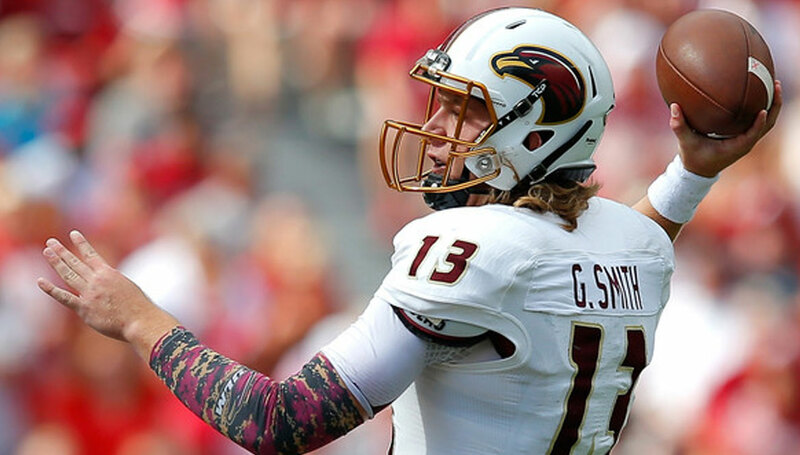 Evans was strong in the first two games that ULM played with a pass accuracy of sixty-two percent for 541 yards with four scores to his name. His mobility has been of tremendous help to his team’s victory quest. His top receivers are RJ Turner and Marcus Green (often called ULM multipurpose weapon). However, the big question is if he can consistently hit his top receivers to keep the tide moving against their opponents. Before a game with an opponent the coaches usually look at the tactics of their opponent and try to counter them. Different coaches have analyzed the strengths and weaknesses of ULM and some of them have proven that such analysis and countermeasures work. A good example is what happened when ULM lost 33 – 23 against the USA football team. Leading up to that crucial game, Kane Wommack, the co-defensive coordinator of the USA football team shared what he termed “Keys to Victory” for his defensive line. 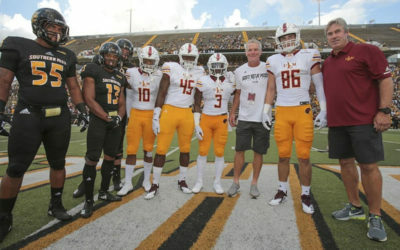 Wommack dissected the ULM team and produced three points that subsequently helped his team to emerge victorious in that game which was played on Oct 21, 2017. 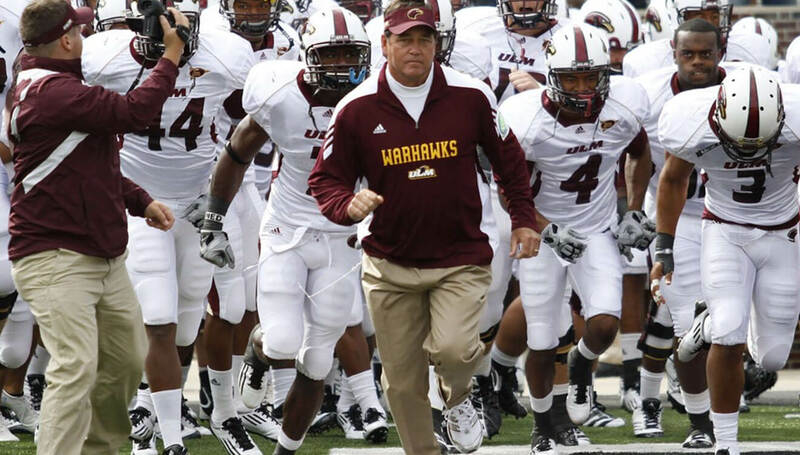 First, Wommack observed that the greatest strength of the ULM team lies in their runs. He mentioned that ULM is eighty percent runs which is their greatest advantage. His countermeasure was to “destroy their run game”. The second tactic was to create as much as eight or more game changers in the form of 3 and outs, sacks, takeaways, and so on. Game changers naturally give the team’s offensive a chance to advance against their opponent. The last tactics proposed by Wommack was to “dominate situational downs”. In the defensive line, it is always a good strategy to limit the number of snaps that a defensive lineman plays in a game. The maximum should be about forty. Sadly, I often see teams with players going as much as sixty-five to seventy. The porosity of the defensive line of most teams can be blamed on this seemingly harmless flaw. ULM was a letdown to many fans including myself in the last season. Majority of the flaws can be pegged down to a Scrappy defense. However, I think the team has shown more promise in the new season revamped by Fisher’s coaching tactics. I still expect a few losses but the wins should be more. I see a nation where students will look beyond just the name of a school and beyond their course of study, a nation where students are willing to diversify and develop minds without neglecting their bodies. 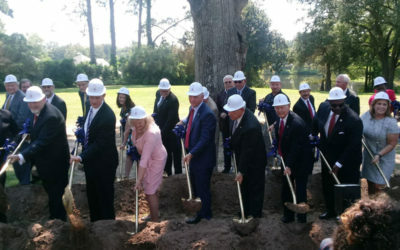 I am committed to bringing you all the recent developments at the University of Louisiana in Monroe starting with the groundbreaking ceremony and the ongoing work at the proposed medical school in the institution. Workshop At ULM Goes Beyond Curriculum To Teach Students How To Help Seniors Avoid Scammers?